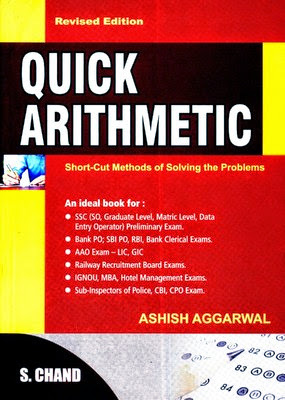 Today we share Quick Arethmetic Book by S.Chand Book .This Notes Help For Upcoming govt. exam. 1. SSC : Combined Graduate Level (Tiers I & II), Section Officer Level, Combined Higher Secondary Level, Food Corporation of India, Multi-Tasking, Constables, Sub-Inspector in Delhi Police, CISF, etc. 4. LIC/GIC : AAO, Clerical. Relation between C.I. and S.I.